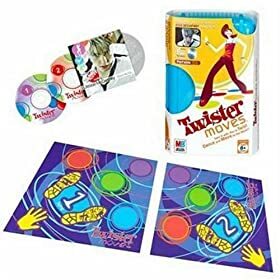 This new take on Twister is a fun game for 1-2 players. The provided CDs call out the moves and the players have to copy them! This is great for smaller groups of friends, where otherwise you would not be able to play without somebody working the spinner. Plus a player can practice solo when there’s nobody else around to join in. More Twister links are below.